Students will be able to produce a piece of narrative writing that includes transitions and at least three details of what happened when they found a pot of gold. Explain to students that this month people all over the world celebrate the culture of Ireland with a holiday called St. Patrick's Day. Ask students to share what they know about St. Patrick's Day. Tell students that part of Irish folklore is the belief that fairies put a pot of gold at the end of a rainbow which is closely guarded by leprechauns. Tell students that today they will be producing a piece of writing in which they describe how they found a pot of gold and what they plan to do with it. Explain to students that their writing must contain Transition words, which are words that connect sentences or paragraphs to signal event order and make your writing flow better. Tell students that examples of transition words include First, Second, and Third. Third: last, in closing, at the end, in conclusion. Write students' ideas on the chart paper. Tell students that their writing should also include some details about their discovery of a pot of gold. Some possible details they could include are where they found the gold, what they were doing when they found the gold, how they got the gold from the leprechaun, and what they did with the pot of gold. Ask students to think about their pot of gold narrative and what details they plan to include. Tell students to turn to a neighbour and share their ideas, and have them give you a thumbs up when they are done sharing. Call on a volunteer to come up to the board to share one of their ideas. Support the student to begin their sentence with a transition word and to be sure their writing contains at least one detail. Have students share the pen by calling on another volunteer to come up to the board to write their idea. Continue sharing the pen with at least three students. 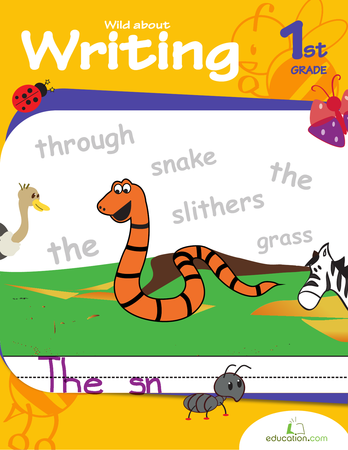 Distribute writing journals or writing paper to each student. Tell students to write and draw about their experience discovering a pot of gold. 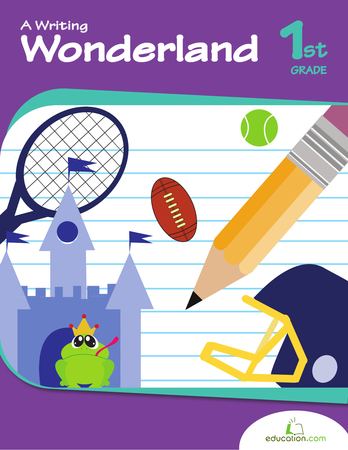 Encourage students to use the Transition WordsPoster as a resource as they are writing. Give students the option to draw and label a picture of what they would do if they discovered a pot of gold. Provide students with a sentence frame to help them with the writing process. The sentence frame could read: "First I ____. Then, I ____. Last, I ____." Encourage students to make their writing more interesting with added details by having them use the Add More Details! worksheet. 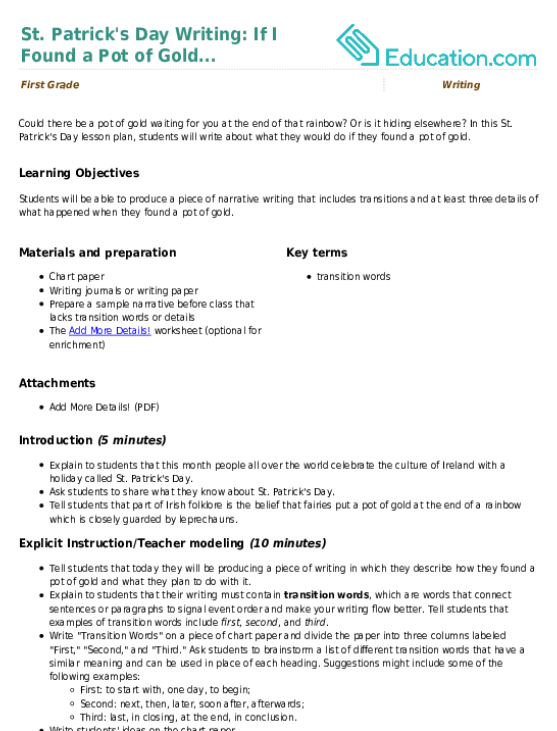 Project a sample narrative that you have prepared prior to class. Ensure that this narrative includes very few details and no transition words. Call on students to edit this narrative so that it has transition words, is more interesting, and contains more details. Using either popsicle sticks to pull students’ names or by taking volunteers, give at least five students the opportunity to share their writing aloud. After each student is done reading, encourage other students to provide positive feedback by raising their hands to share something they liked. Patrick's Day lesson plan, students will write about what they would do if they found a pot of gold. This cute and colorful printable gets her thinking about her favorite rainy day activities. 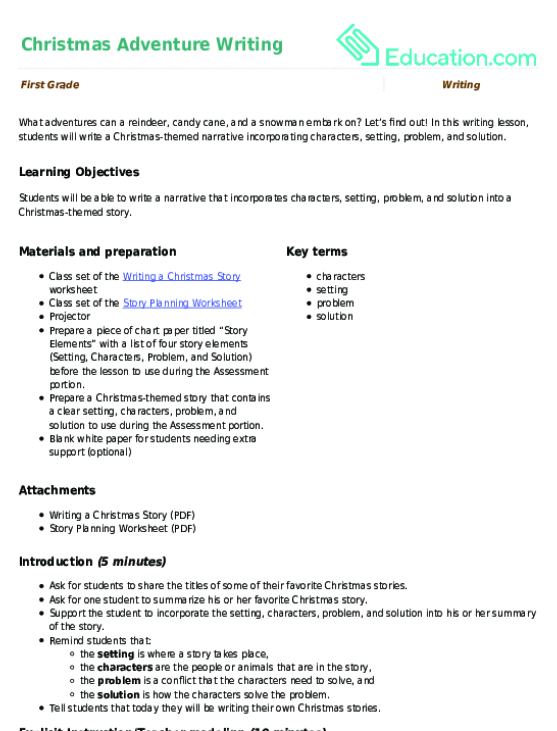 In this writing lesson, students will write a Christmas-themed narrative incorporating characters, setting, problem, and solution. What is your favorite part of Thanksgiving? Answer this question and more in this exercise that allows you to practise sentence writing.